Automated driving and unmanned transport systems are about to bring massive disruptions the road transport sector. Organisations active in this industry have to adapt their organisation accordingly in order to optimize operations and revenues. Unmanned Cargo Vehicles will offer solutions for many of the challenges the transport industry is facing: improved traffic flow and road safety, fuel consumption reduction and reduced CO2 emissions. 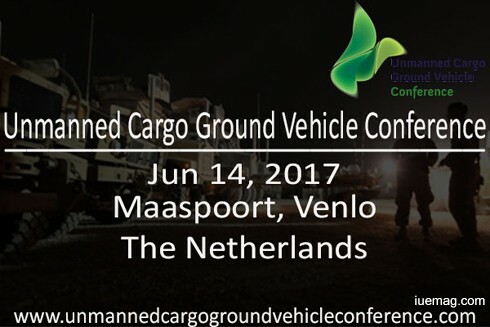 The Unmanned Cargo Ground Vehicle Conference addresses the benefits of unmanned vehicles for military purpose such as unmanned transport of goods in high-risk areas. The iUeMagazine team is delighted to work with the Unmanned Cargo Ground Vehicle Conference as Online Media Partners & is expected to bring Unlimited Inspiration for all readers from the proceedings of this event. Staying tuned to the enriching updates from this event is recommended.